Great news for those that love watching the latest blockbusters on the big screen complete with immersive surround sound experience, coupled with a warm bucket of popcorn and soda, then HLB GSC Mastercard Credit Card, is a must-have for you. Movie-goers can enjoy more movies, more savings and other exciting rewards and benefits at Golden Screen Cinemas (GSC), the biggest cinema chain in Malaysia nationwide. With the new updates to the card, you will enjoy RM6 off tickets every day for all halls, including Signature Halls plus 30% off snacks and drinks when they book and pay via GSC website and GSC mobile app. 20% discount for dine-in at all GSC food and beverage outlets. Earn 3X Reward Points on overseas spend, e-commerce and for all spend at GSC. Reward Points redemption for movie tickets for 3D movie, 4DX, Twin Seats, D-Box, MAXX, Premium Leather Seats and snacks and drinks at all GSC cinemas, including Signature halls. New Platinum and Gold Principal Cardholders will be entitled to a Welcome Gift of 10 (Ten) and 5 (Five) movie tickets respectively. 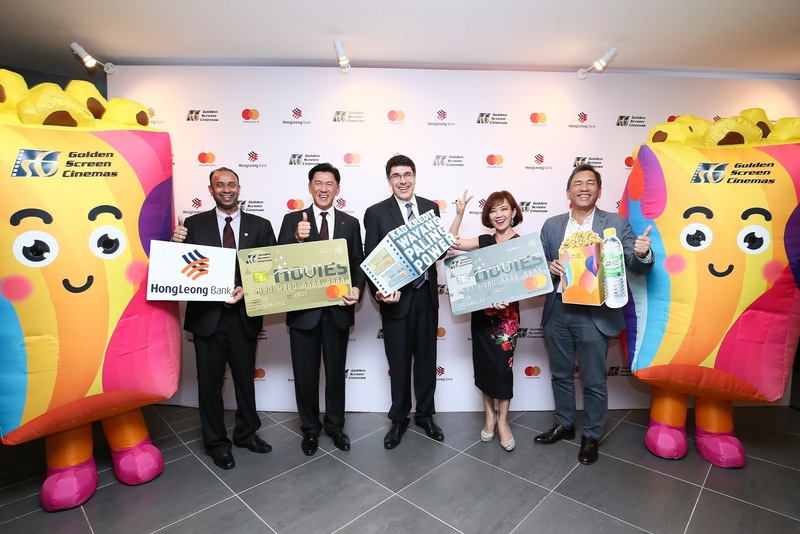 The HLB GSC Mastercard Credit Card complements the digital journey who purchasing their tickets online. While the traditional ticketing option is still available, or through GSC’s online platforms ( available on GSC Website and GSC Mobile App (for iOS and Android).